When the vows have been spoken and the cake has been cut, it's time to begin forever together with the holiday of a lifetime. What could be better than starting your journey by scuba diving near an exotic reef on the other side of the world, lounging on a beach blanket surrounded by palm trees, touring Europe's romantic cities, discovering nature's secrets on a wild safari, or experiencing glitter and fun in a place that's known for its international party scene? 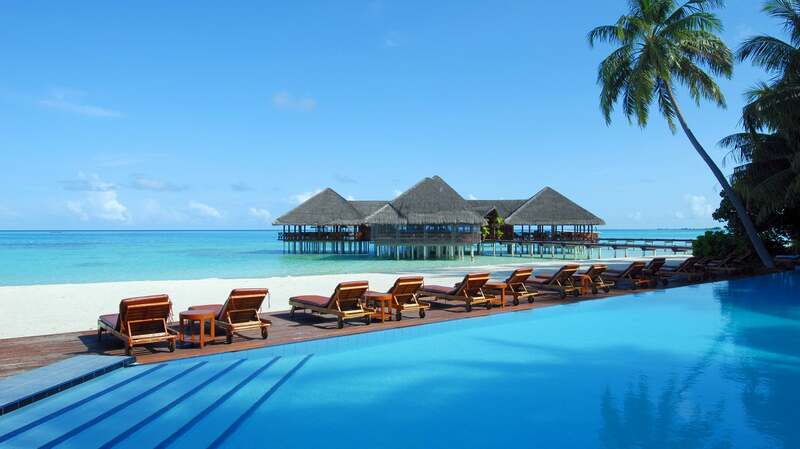 Expedia makes visiting the world's best honeymoon destinations easy for couples by offering cheap rates on flights and accommodation. You'll have the freedom to completely customize your travel experience based on your hobbies, preferences, and desires. Whether you're dreaming of having breakfast every morning on a balcony overlooking the ocean at a romantic resort or you're ready to spend each night admiring the stars in a remote location covered by forest, we'll help you connect to travel information and deals you won't find anywhere else. Now that you've found the love of your life, the only thing left to do is pinpoint the perfect place to spend your honeymoon. We know that most couples don't want to put a lot of time into researching honeymoon holidays in the middle of planning a wedding. As the world's largest travel company, we're able to bring you the guaranteed best rates at a wide variety of cheap honeymoon destinations. Our revolutionary online booking technology gives you the highest levels of choice and flexibility when it comes to airlines and hotels. 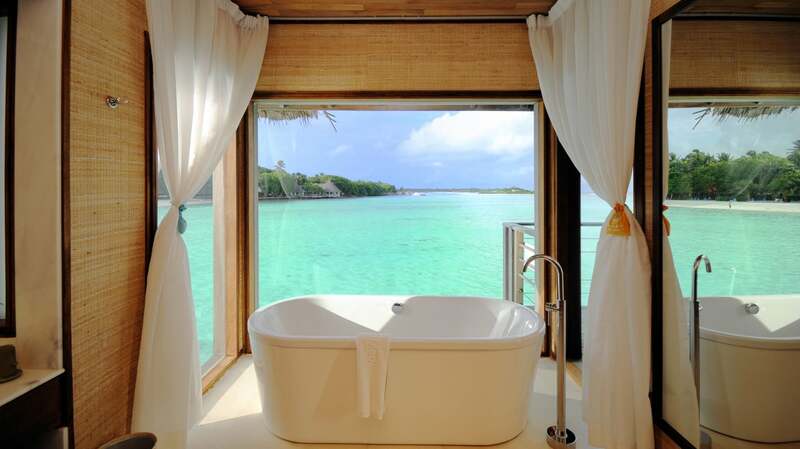 See beautiful places and have amazing experiences when you book your honeymoon at Expedia.com.au today. 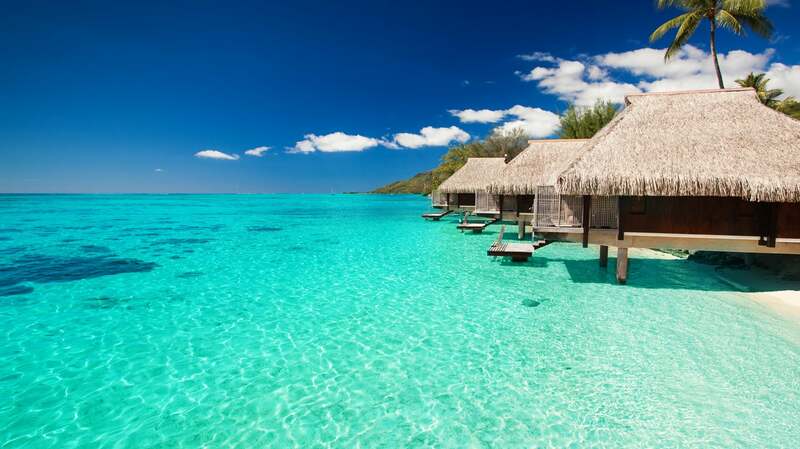 Bored is the last thing you'll be during your Bora Bora honeymoon. 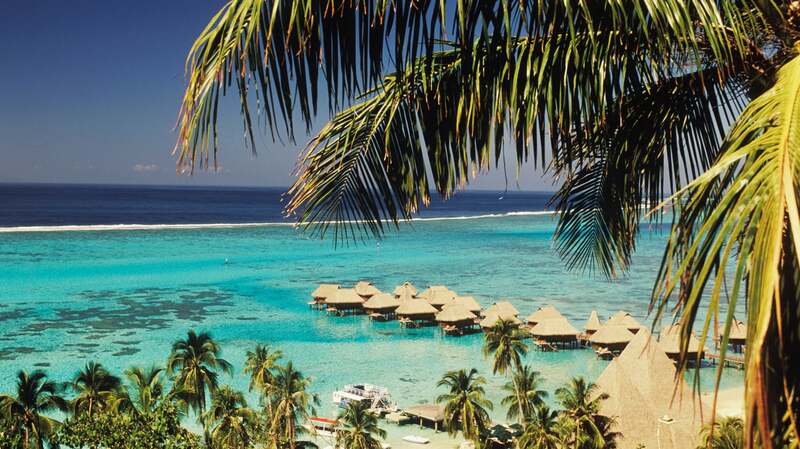 Recover from a busy wedding by relaxing under coconut trees near the blue lagoons of French Polynesia. Enjoy a pampering spa massage or sip fruity cocktails as you watch a fluorescent sunset over the Pacific Ocean from the balcony of your honeymoon suite. 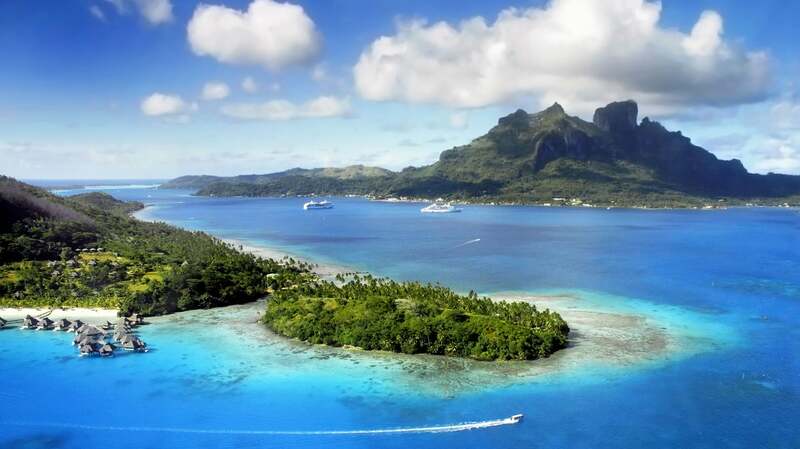 When it comes to enjoying island passions in an exotic corner of the world with your sweetheart, out there starts right here at Expedia.com.au. Spend your blissful holiday scuba diving, snorkelling, swimming, dolphin watching, trekking lush mountain trails, and shopping for black pearls to bring back home. 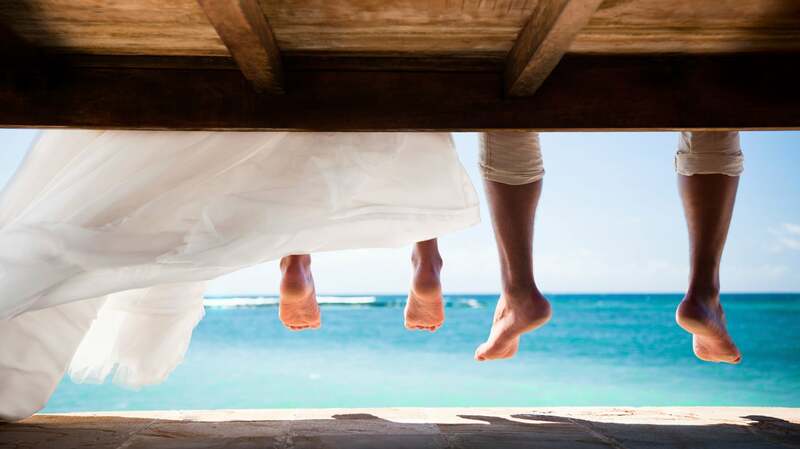 Relax in a cabana or get some sun while enjoying wedded bliss and unwind after months of wedding planning. Bring an appetite for more than just romance; this lovely island offers abundant selections of succulent fruit and delicious seafood. 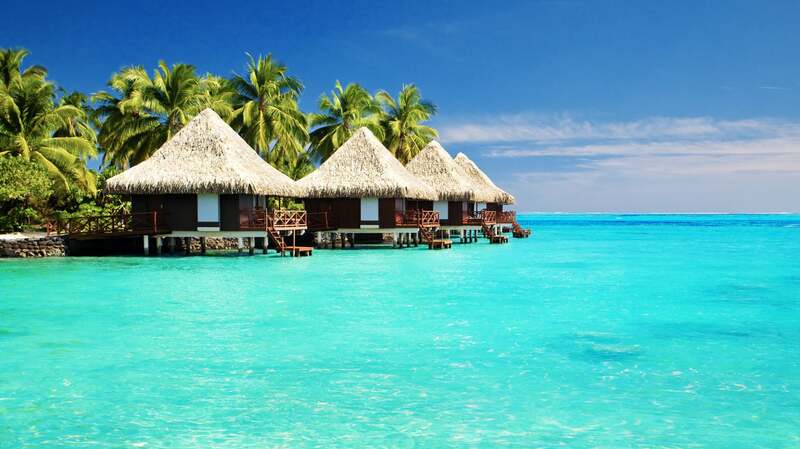 Plan a cheap honeymoon with Expedia. Let us help you plan a personalized itinerary and book activities using our amazing library of resources. 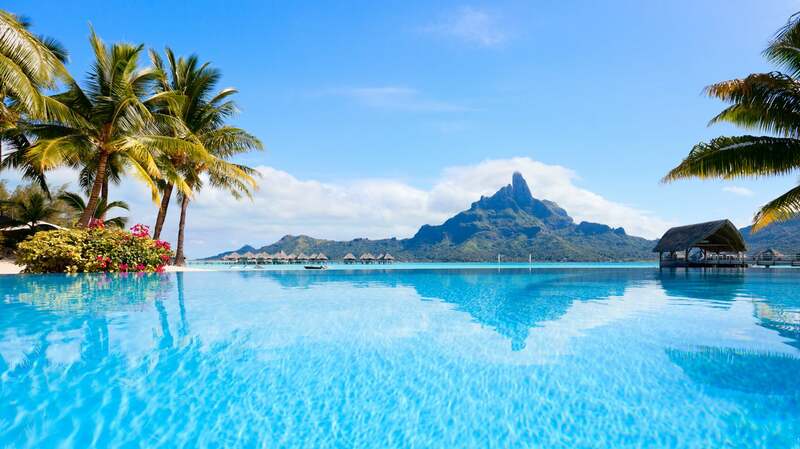 Book your dream Bora Bora honeymoon today and take advantage of prices and options that can only be found right here at Expedia.com.au. If your idea of romance includes relaxing on white sand beaches, gliding through turquoise waves, and eating breakfast on a balcony with views of volcanoes, you were meant to enjoy a Fiji honeymoon. Give yourself something extra to look forward to following your big day by booking an amazing trip for you and your sweetheart. It's time to get excited about sparkling lagoons, beautiful waterfalls, ethereal caves, botanic gardens, and exceptional wildlife reserves. 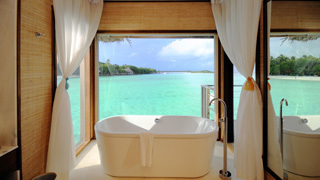 Fiji honeymoons offer the perfect balance of relaxation and thrills. Experience some of the top diving and swimming opportunities in the world, visit amazing museums, and experience the many great restaurants and nightclubs on fun nights out. Expedia makes it easy for couples to enjoy amazing honeymoons by putting the guaranteed best deals and options right at their fingertips. We're proud to say that when it comes to seeing the world's best locations, out there starts here. 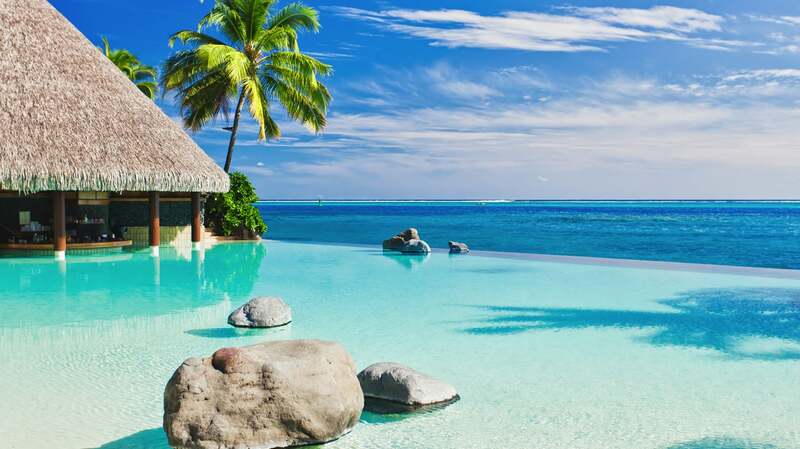 Planning how to get to Fiji honeymoon destinations can be quick and easy when you package your itinerary, flight, and hotel plans together. With prices as amazing as the ones at Expedia.com.au, you just might start a travel tradition and return to Fiji for every anniversary. There's no better setting to celebrate love than amongst coral reefs, breathtaking beaches, and sparkling temples. Bali offers white sand caressed by turquoise waves and patches of jungle that are roamed by playful monkeys and birds. Couples choose a Bali honeymoon because it offers all the seclusion and relaxation a pair of love birds could ask for. Bali honeymoon destinations such as the Sekumpul Waterfall, Mount Kawi, and the Ulun Danu Bratan Temple are great for couples looking to balance adventure with history, nature, and culture. Make undersea memories with your sweetheart by scuba diving and surfing. Rafting down rivers that lead to breathtaking waterfalls is another popular activity during holidays in Bali. Whether you're looking for a perfect resort where you can relax or you want to pack your itinerary with daring excursions, Expedia offers the technology and human touch it takes to plan a flawless Bali honeymoon. In addition to offering the guaranteed best deals, we offer unmatched flexibility when it comes to airlines and hotels. Get ready to pack your bags and jet off to Bali with the one you love by booking your honeymoon right here on Expedia.com.au today. On your perfect Paris honeymoon, share a kiss in front of the Eiffel Tower, nibble fresh croissants as you stroll along the River Seine, and spend long afternoons touring some of the world's best museums. If you're looking for some travel ideas on how to see more attractions while saving money, Expedia wants you to know that nothing should stand between you and your romantic French getaway. There are so many beautiful honeymoon destinations in Paris. Get ready to be charmed by the Notre Dame Cathedral, the Louvre, the Arc de Triomphe, the Moulin Rouge, and the endless assortment of churches and museums that pepper Paris. Admire the amazing architecture and cultural gems in iconic neighborhoods such as the Latin Quarter, Montmartre, the Champs-Elysées, and Bastille. Plan an excursion to Versailles or choose to hunt down deals at the fashion houses that line the trendy streets. 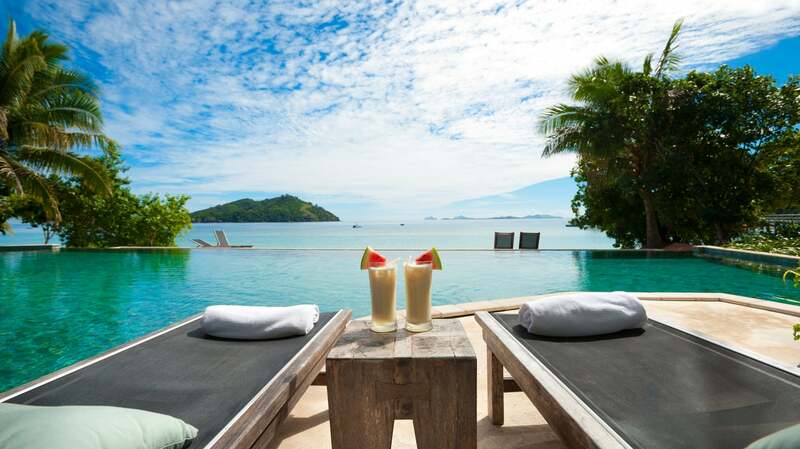 Enjoy choice and flexibility when you book your honeymoon with Expedia.com.au. You'll love keeping extra money in your wedding fund when you take advantage of our great rates. 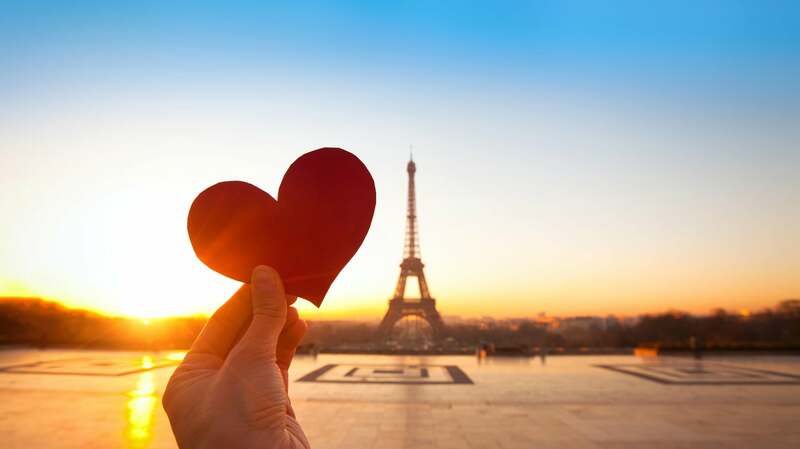 Book your honeymoon using the exclusive deals, planning tools, and human touch that only Expedia can bring you and discover why the soul of Paris has fed artists and lovers throughout history. Like the idea of sitting on a volcanic beach with a wreath of tropical flowers around your neck as you recount wedding day stories with your one and only? Take the plunge and plan a Hawaii honeymoon. The warm climate of the Aloha State makes planning a perfect getaway in a land of stunning views, amazing food, and fun activities easy and fun. 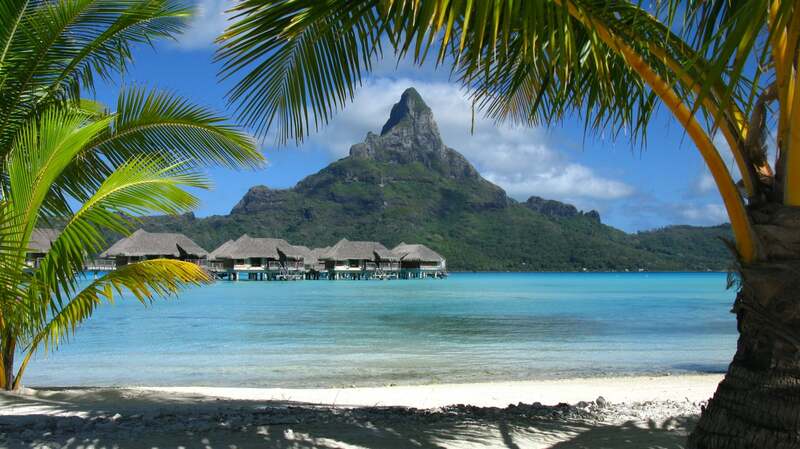 Relax at resorts and visit top honeymoon destinations in Hawaii. You and your sweetheart can wake up each morning to enjoy fresh fruit and amazing views of the sun rising over the roaring waves. Treasure each moment as you swim, sunbathe, scuba dive, or trek through trails that lead to ancient volcanoes. In addition, Hawaii has amazing museums, monuments, and pineapple plantations to explore. Expedia.com.au has tons of amazing ideas to help you plan a robust itinerary. Stay at quiet resorts or enjoy dinner and dancing in Hawaii's major cities; Expedia knows you value choice and flexibility. We offer a personalized online experience when it comes to bundling flights and hotels for one low price. Experience an amazing honeymoon: Pack your bags, grab your sweetheart, and let Expedia.com.au connect you with the guaranteed best deals.